LEADERSHIP TRAINING FOR CORPORATE NEW ZEALAND. OUR VISION IS FOR EVERY HUMAN BEING TO LIVE A LIFE OF SELF-RELIANCE AND DIGNITY. CAN YOU IMAGINE THAT? WE CAN! Shifting people from “I CAN’T” to “I CAN” and then, “WE CAN”. Scalable programs across Africa, South-East Asia and Latin America. THERE IS MORE TO BE DONE TO REACH OUR OBJECTIVE OF ENDING HUNGER BY 2030. HOW CAN YOU HELP? Help whole communities transform themselves and their future, sustainably. Your money can shape our world. We are part of a global organisation, a movement of people who stand for the end of hunger. We operate our programmes across Africa, South-East Asia and Latin America and have fundraising partners in Australia, USA, UK and Europe. 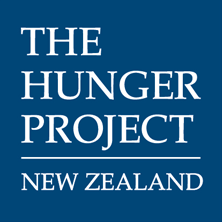 Our work in New Zealand is to continue opening the hearts and minds of Kiwis to takeaction, shoulder to shoulder, with our partners to end hunger by 2030. We do this by partnering with everyday, extraordinary people who invest in our work, fundraise for us or particpate in our transfromational leadership programmes. We create unique partnerships with small businesses and companies who share our vision for a world free from hunger. "I became an investor in The Hunger Project when I learned they had no requirement for Western “workers” because all the volunteers and workers were local and it involved the mobilisation of the whole community. I keep investing as there are so many inspiring stories about what women particularly are achieving for the communities – which counteract the doom and gloom we get through the media." "The Hunger Project Leadership Programme opened my eyes to the world around me, my place in it and the change that was required in me to ensure that I was truly living my life to the fullest. It encouraged me to really expand myself both as a person and as an active player in the fight against hunger in our world. It was, and still is, a life changing programme for me."